A common axiom is resistance training strengthens and sculpts our muscles. What is less widely discussed is that the tendons, ligaments and other supporting structures in our body also get stronger when engaging in this type of exercise. Additionally, the density of our capillaries increases to compensate for the increased oxygen demand of our muscles. Changes in our nervous system also occur with resistance training. These include increased neural drive resulting in more forceful muscle contractions and improved communication between our brain, muscles and peripheral sensory systems. This type of neural adaptation is the reason why exercise is so effective in improving the symptoms of central nervous system diseases such as Parkinson's and others. Exercise is the magic elixir, the fountain of youth, and the panacea. Now that I have reinforced what you already knew, Saïd says, "Exercise, be healthy, and love your life!" 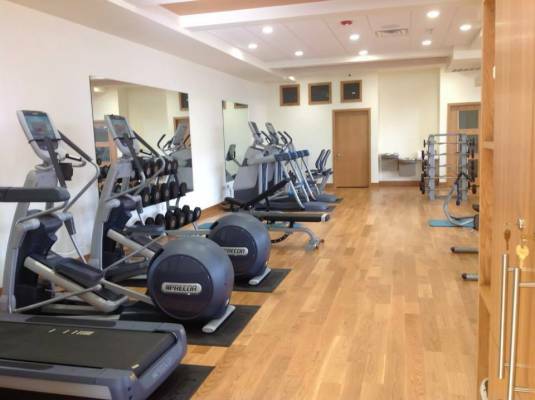 FYZICAL Sarasota Main Street offers PT-directed fitness training along with a modern fitness center, complete with a full line of strength and cardio equipment.